Previous posts dealt with my fishing pack and my on-the-river fly boxes. As I tied flies in batches, I keep my spares in Plano 3600 boxes, and use these to refill my fly boxes as required. In the event of an extended trip, I may take some of these boxes with us to refill, as we go. In previous posts about my man-cave, (older fisheye look), you can see my bulk storage above my fly-tying bench. 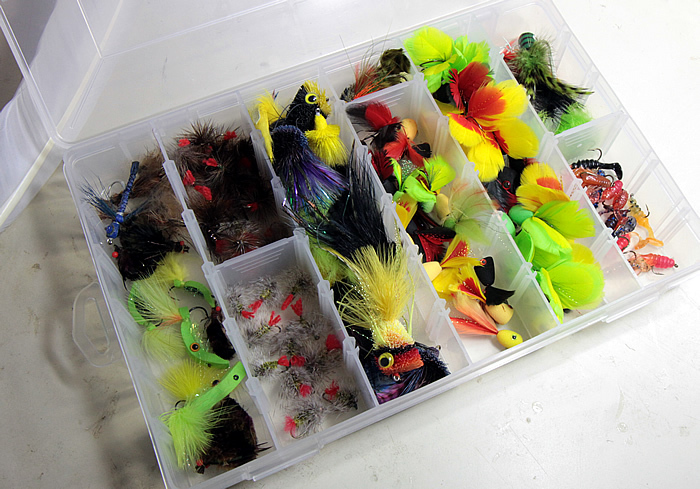 It is in these Plano 3600 boxes, that I hold flies and other associated fishing materials. 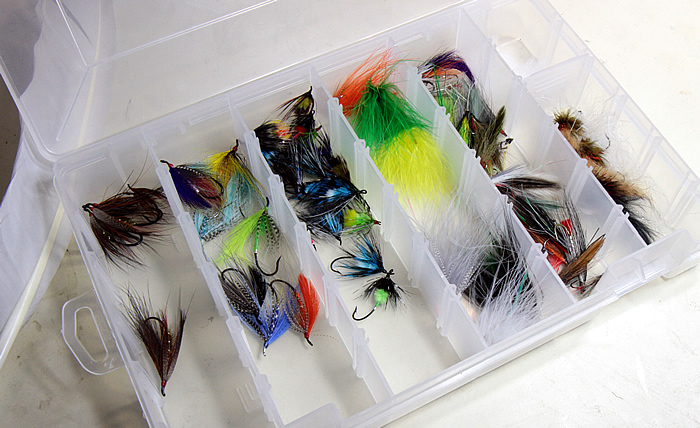 Now, one very effective fly not in this box is Clouser’s Minnow – tied as a minnow or crayfish. It is a great fly to catch bass, but not as much fun as a popper to fish.